It's hard to believe it’s been 10 years since Oribe Hair Care launched in the professional beauty market. Thanks to the products’ performance, beautiful packaging and, what President Daniel Kaner calls, “craftsman style” education, the brand was received with open arms by not just the salon industry, but beauty editors, session stylists, and clients around the globe, who quickly because #oribeobsessed. In fact, the signature fragrance—which the brand developed with a legendary 19th-century Parisian perfume house—was so in demand and raved about that the brand later launched skin care, perfume and candles all scented with the famed Côte d’Azur. Yet when Oribe launched in 2008, it was during one of the worst economic downturns the world had ever seen—not the ideal time to launch a luxury line with a shampoo/conditioner combo at nearly a $100 price tag. Yet the founders, Tev Finger, Daniel Kaner and Oribe Canales persevered. At the outset, Canales felt strongly that his products should push the boundaries of performance. He wanted stylists and consumers to not just see—but feel—the difference. In the photoshoot and editorial world, Canales, the man whose name launched the brand, was iconic for his use of massive fans on set. At an Oribe event in the early launch days, Canales got on stage and re-enacted the use of the fans. 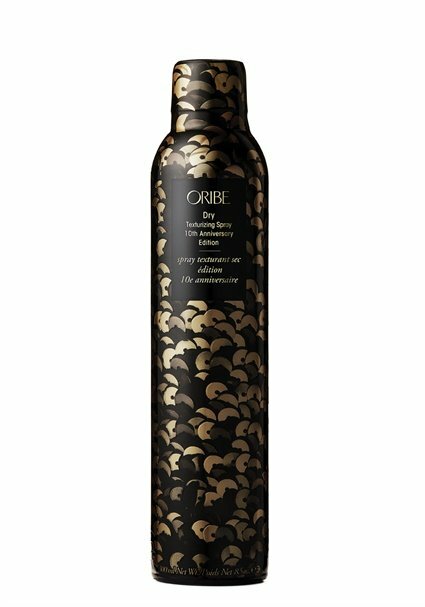 To commemorate Oribe Hair Care’s 10 year anniversary, the brand’s cult classic best-selling product, Dry Texturizing Spray, is now available in a limited edition celebratory sequin-wrapped bottle. Learn more at Oribe.com/anniversary. Since then, the brand has hosted its now-famed Ateliers across the country; won beauty innovation awards; led global Fashion Week teams; introduced intensive and inspiring workshops and classes; and the products have been used on-set at nearly every publications’ cover shoots, advertising spreads and editorials across the globe.